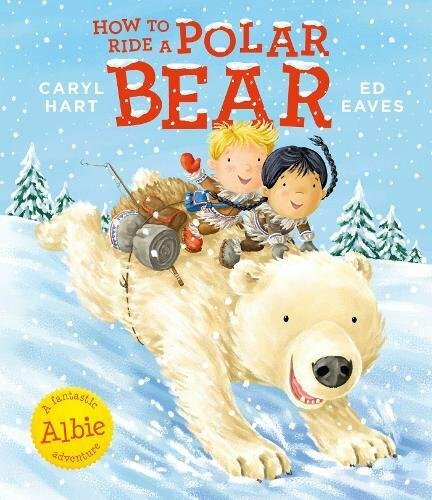 Here's "How to Ride a Polar Bear" by Caryl Hart and Ed Eaves. When Albie and his mum go to the museum, Albie has no idea what is in store for him. He know that museums are fusty and dusty and full of smelly things, but what he doesn't expect are igloos, wolves and a real life polar bear! It's time for another imaginative journey for Albie as he coasts across the snow with new friends in tow. "How To Ride a Polar Bear" by Caryl Hart and Ed Eaves is out now, published by Simon and Schuster Children's Books (kindly supplied for review).